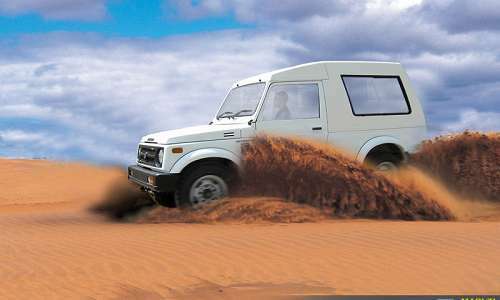 India's largest auto maker Maruti Suzuki India limited is now focusing on its flagship off-roader Maruti Gypsy. According to the sources, the company is aiming to make this SUV a success in the present markets. Gypsy was launched in India way back in 1985 that is about 27 years back when it took the markets by a storm. This SUV has helped the company to come on top of the markets and we can still see this vehicle somewhere on roads. It is a non fancy and true blood off-roader, which is still available for same in the auto markets. However, there is a little demand for this vehicle due to tough competitions and for many reasons. Its demand has been faded as time passed and now it seems like fortunes changed for this vehicle as company is taking steps to make it a huge success. At present its appearance is not-so-impressive, its features are below average and it has under-the-hood specifications, which is not-so-encouraging for the customers to buy Gypsy. However, it has the reputation of the most favorite off-roader in India, which is encouraging the company take steps to re introduce this off road king in the markets. If we just take a look at the Maruti Gypsy features and specifications, it is coming with under-the-hood engine specifications with 1.3 liter, 4 cylinder engine with a displacement capacity of just about 1298cc. Moreover, it is available with petrol fuel option, which makes the running cost higher. It is evident that Gypsy has seen a lot of SUVs and Off-roaders since it was launched in India out of which only few could make a impact over the markets. Moreover, the MSIL has not focused much on improving or upgrading the Gypsy over the years as it was already a tremendous success. Now the company has finally realized that there is an importance to focus on its most successful and favorite SUV Gypsy as its demand faded over the years. 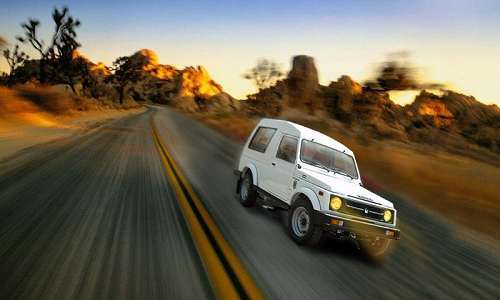 There is no information regarding the upcoming Maruti Gypsy price or its features. However, we can expect that the Gypsy will carry the same body panel as it used to come earlier as we can see in the Maruti Gypsy pictures. At present, this SUV will have to face tough challenges from the likes of Mahindra Thar, Bulero, and Force Gurkha in the off-roader segment. However, its low price tag and its iconic looks might help Gypsy to come on top and moreover the company is taking steps to make it a huge success in the markets. The company is expecting to increase Maruti cars sales in the markets further in all segments.